251 p., 15,5 x 21,1 cm. Studien zur Theorie der Geschichtswissenschaft. The nine essays compiled in this work contain proposals, from various perspectives, for a concept of a uniform theory of history which enables an adequate explanation of the current status of history as a historical social science. The science of history is seen as a systematic study of theories, methods and practical aims which are effective in concrete historical research and historiography. On this basis, historians are able to communicate about its basic principles and to determine its relationship to other sciences (particularly to the social sciences), to philosophy, to the ideological movements of the time and to current problems surrounding social practice, in particular questions of civic education. 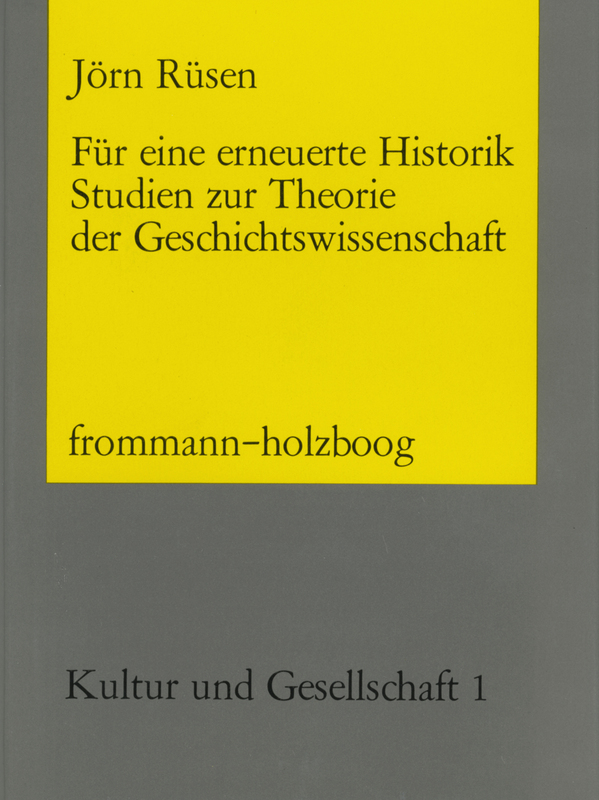 The essays have two objectives: On the one hand they analyze the practice of historical research and historiography as specifically as possible and at the same time comprehensively, thus providing a detailed examination of the historical development of the science of history, particularly the historicism epoch in the 19th century. On the other hand they deal with general and comparatively abstract theoretical aspects in which history has become questionable today; thus the historical analyses are always based on questions of a systematic nature which apply to the current self-concept of history. The purpose of this is to accommodate historians’ demand for theory to the extent to which it is seen by many of them as one of the major problems their field is facing today. Der komplexe und auf Totalität abzielende Charakter des von Rüsen entworfenen geschichtstheoretischen Konzepts macht seine Überlegenheit aus. Es vermittelt wohl besser als jeder andere Ansatz einen Einblick in die Vielschichtigkeit der geschichtswissenschaftlichen Grundlagenprobleme.